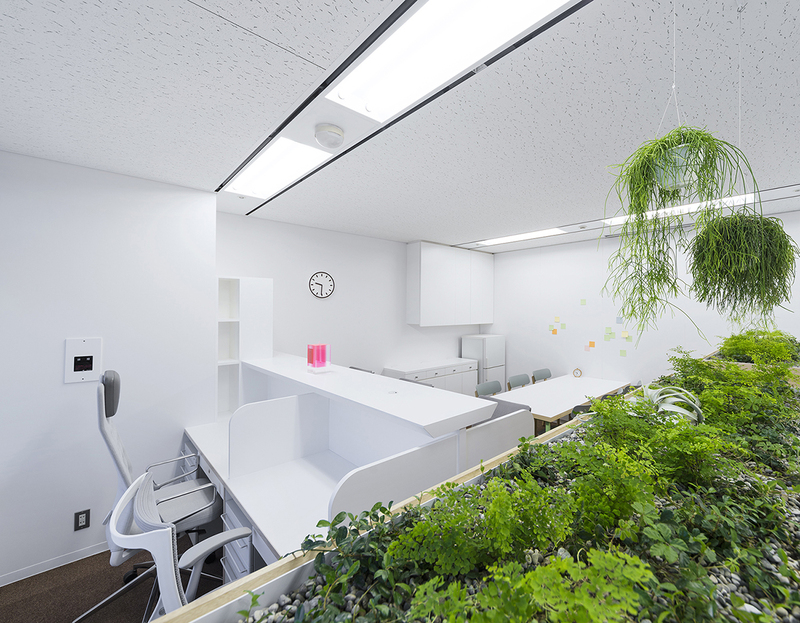 This is a renovation project of a medical office clinic in osaka japan. There are more than 50 waokers and 90% of them are female including doctors. 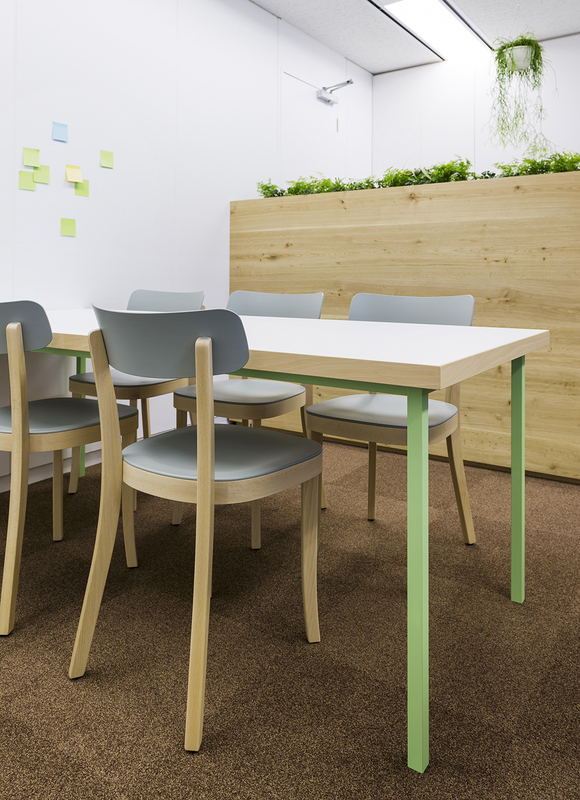 I designed this office to give all the staffs to feel relaxed,sense of cleanliness and what is more,wanted them to feel comfortable having various conversations. First,to make the space look as large as possible,I made all the walls white only. Then I brought abrown carpet which gives you an image of natural soil ground. 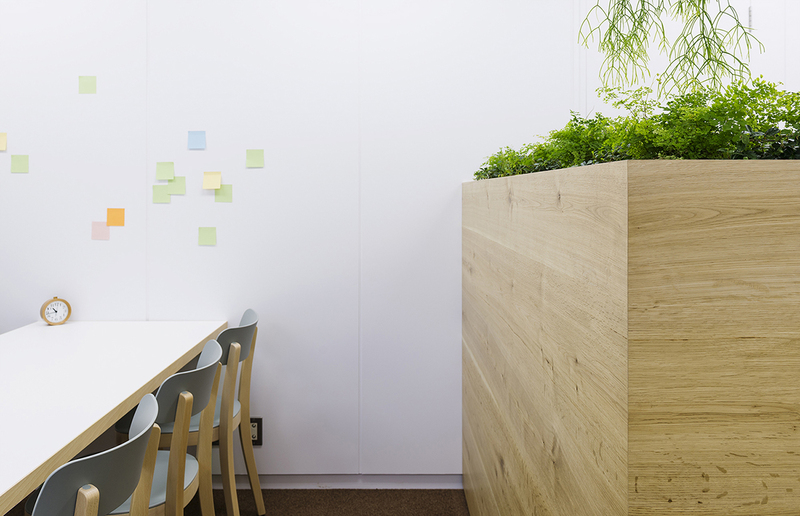 And I put an utensil the plant in order to be the function of the partition as well as the eye-stop by the entrance. 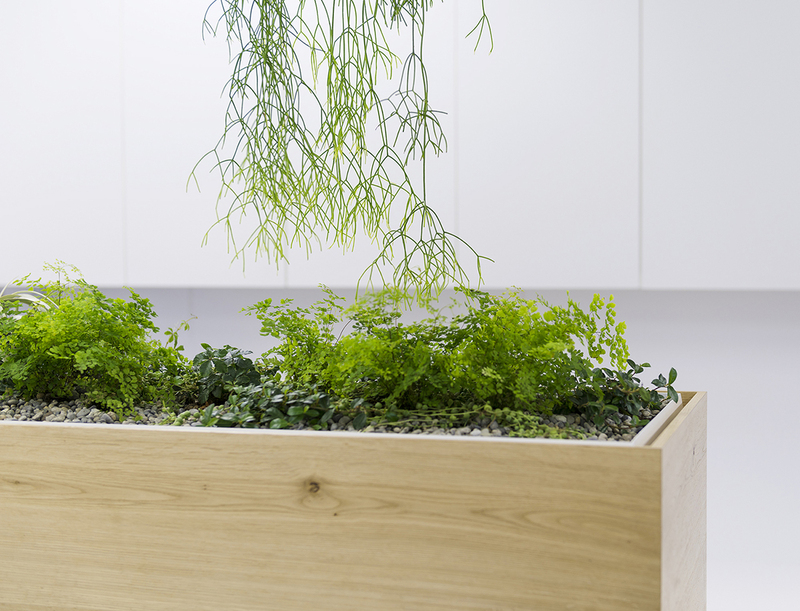 I placed the plant on the 1300mm high from the ground. 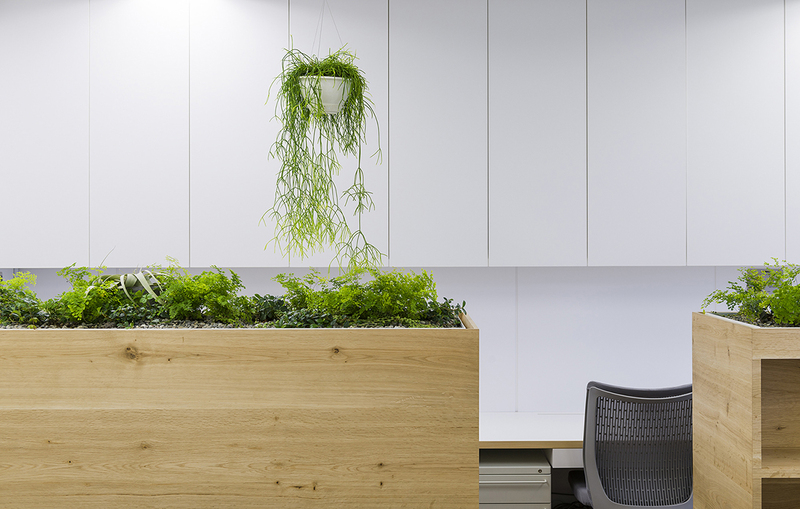 I dare to have planted it which needs to be taken care of everyday because when you come into this office the first thing you see is”the plant”. You can smell the soil and rocks and feel the movement of the green and water. 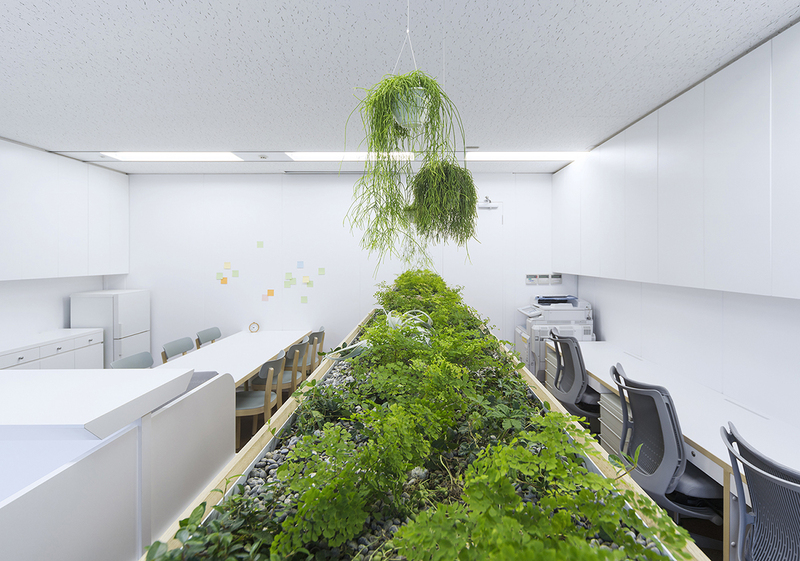 It is easy for anyone who comea to this office to take care of the plants. 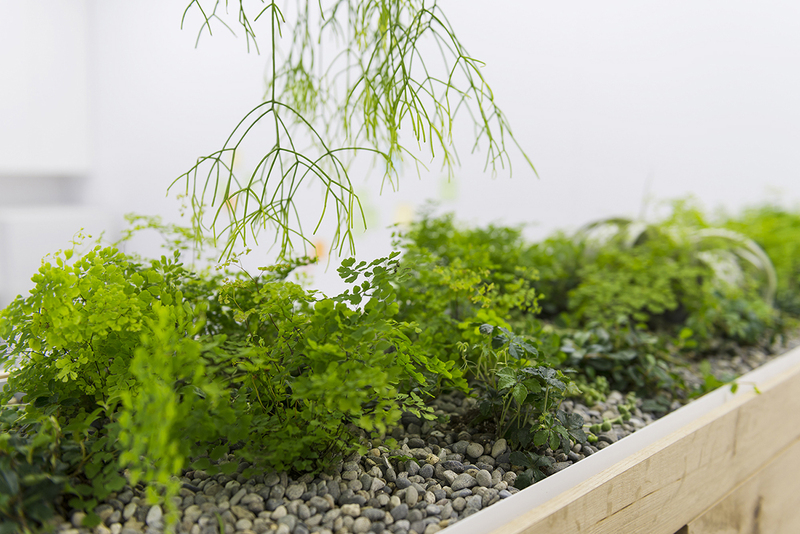 I thought that taking care of people patients and taking care of the plants have something in common. So I hoped for the staffs to be enjoyable to come and work there. There used to be divided into some areas vaguely. 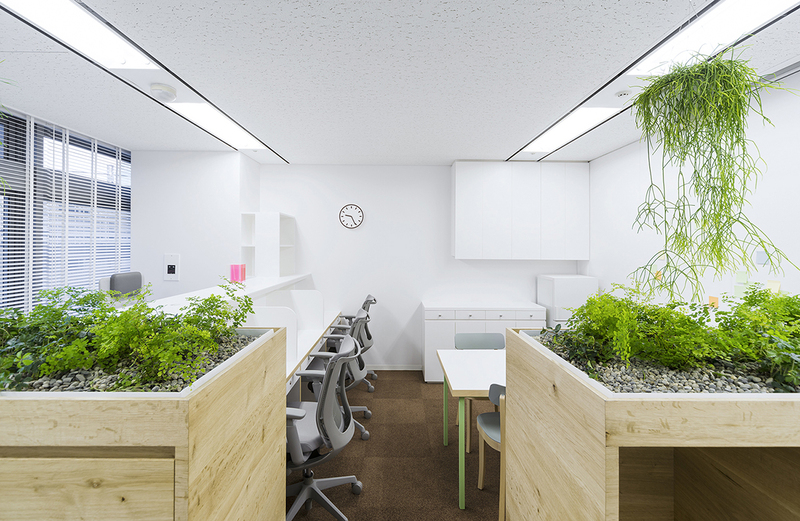 By placing the plant in the middle,I separated into three areas,the deskwork area,the working area and the meeting area. I hope that people enjoy coming in this office and enjoy their job more than ever before.